HandBrake is a cross-platform video transcoder that supports most common multimedia formats, DVDs or Bluray-like sources that aren't copy-protected. The application can even create chapters or add subtitles. 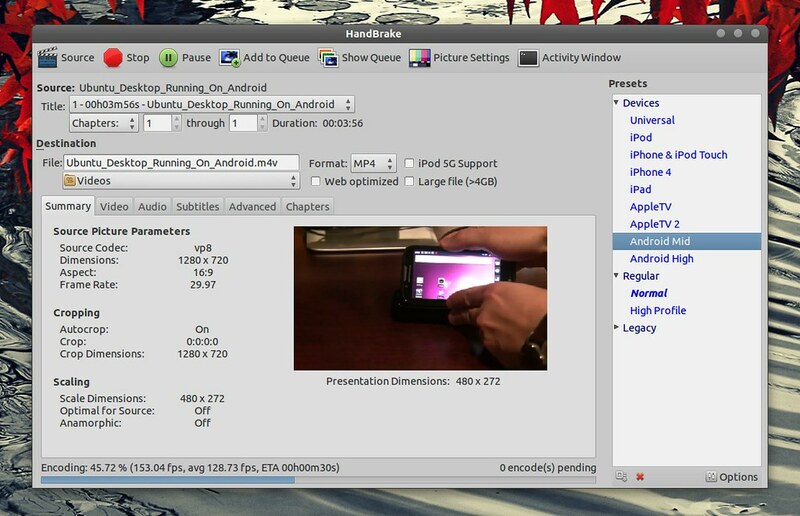 For a complete list of changes, check out the HandBrake 0.9.6 changelog. No Comment to " Install HandBrake Video Transcoder on Ubuntu or Linux Mint "